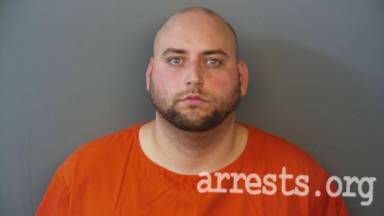 John Brandon Casselman comes to us from Avon, IN. He is 32 y/o as of December 2018. 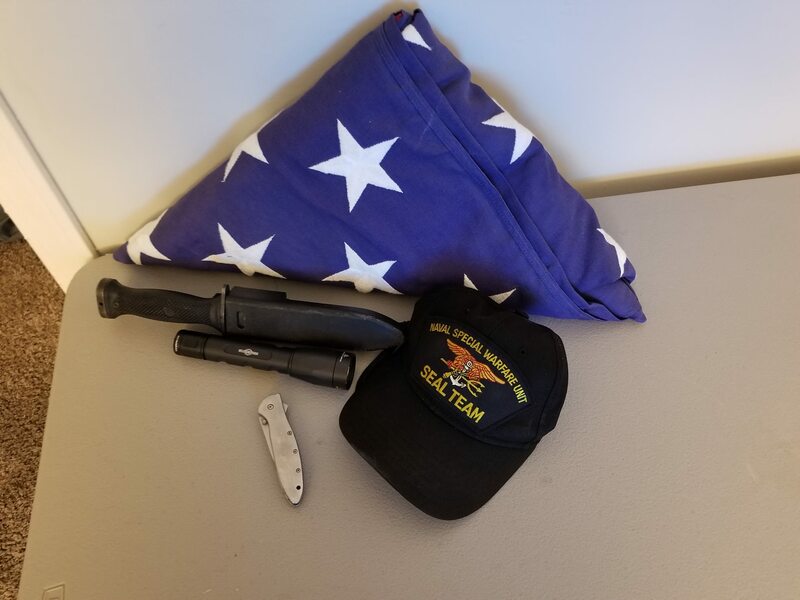 Before Casselman scuttled his Facebook page yesterday, we were able to obtain a copy of it to show his display of Navy SEAL pride. 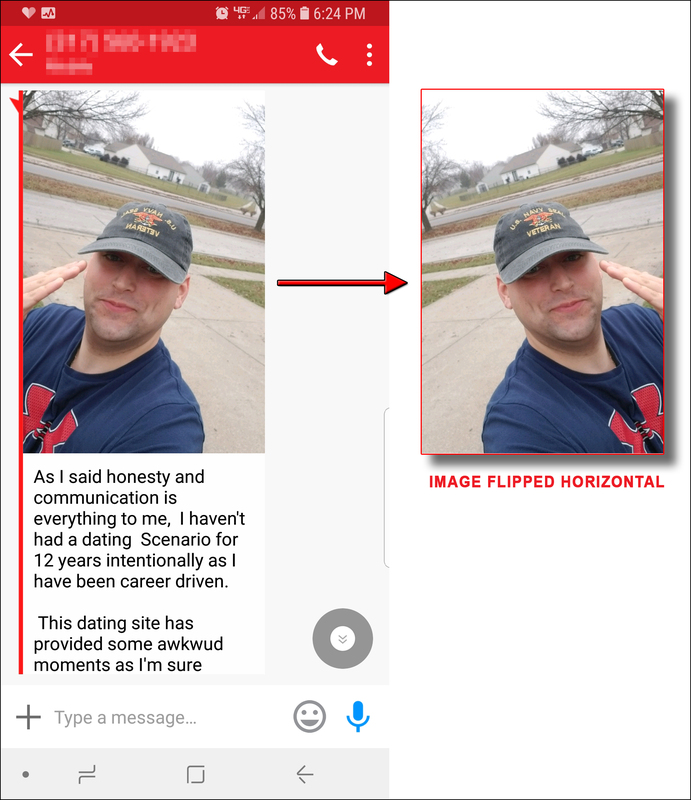 John Casselman’s profile on Zoosk dating site. 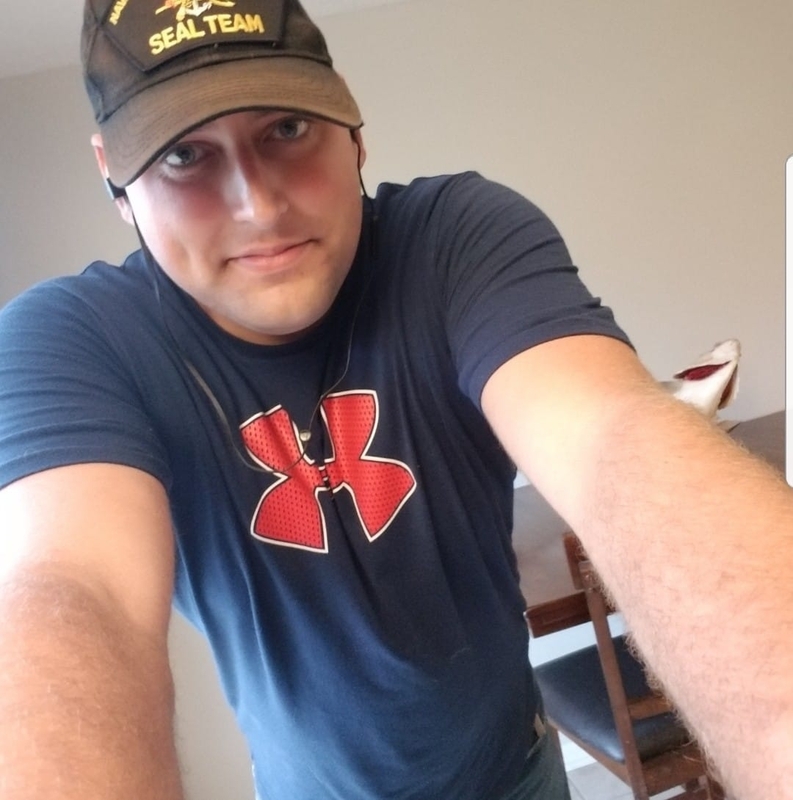 On dating sites, he tries to meet up with women and lays out his story about him being a Navy Seal. Casselman sent this image. It was reversed, perhaps due to the improper hand salute. We flipped this image above it to make it easier to read the ball cap. Then, to top it off – Casselman recounted a story where he claims he was on the Osama Bin Laden raid as a part of SEAL Team Six. When Don Shipley was mentioned in the following conversation, Casselman seemed to back off a little bit. Not because of Don Shipley, but because he claimed that the lack of trust was a deterrent for Casselman in a potential relationship. 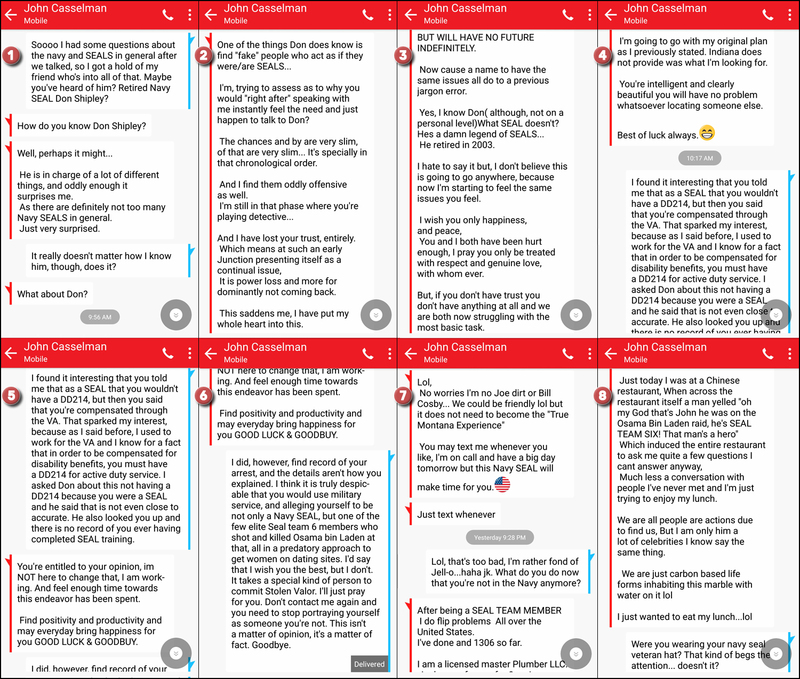 Click on the graphic below if you would like to read the entire conversation that mentions Don Shipley. 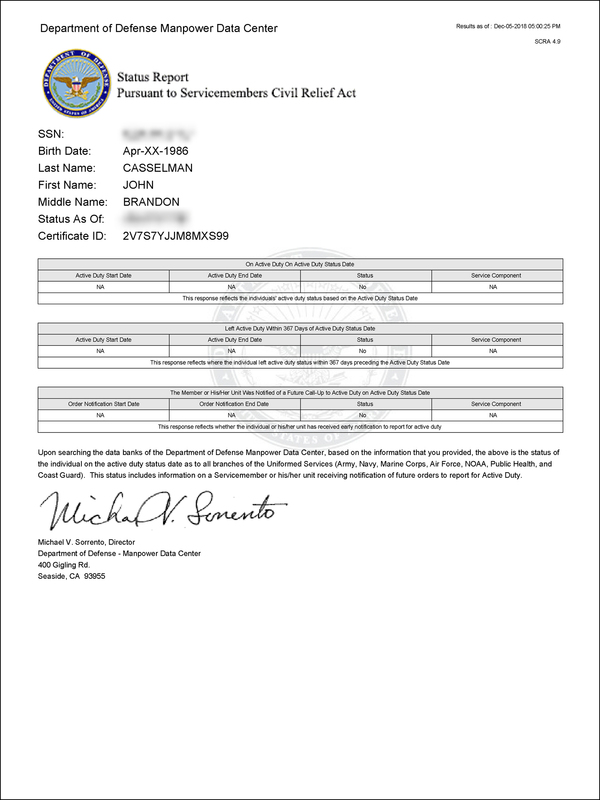 After contacting the UDT/SEAL archives, the Naval Special Warfare Center and checking the UDT/SEAL database we found that there is NO record of John Brandon Casselman ever completing BUD/S Training or being assigned to a SEAL Team. 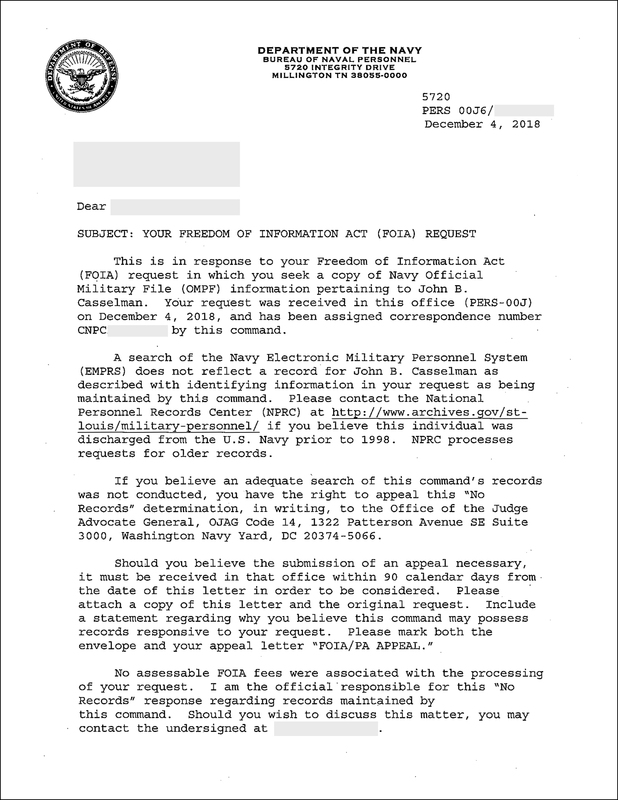 John Casselman’s military records were requested through a Freedom of Information Act (FOIA) request. NOTE: The above null result was repeated for each year from 2002 when he would have been 16 to the present day. We presented the result from 2010 since this would represent a “sweet spot” since he claimed he served for eleven (11) years. Therefore, it should have shown active duty service. NOTE: Since Casselman claimed that he served for eleven years – based on his age, the soonest he could have gone in the Navy was 2004 at 18 years old. 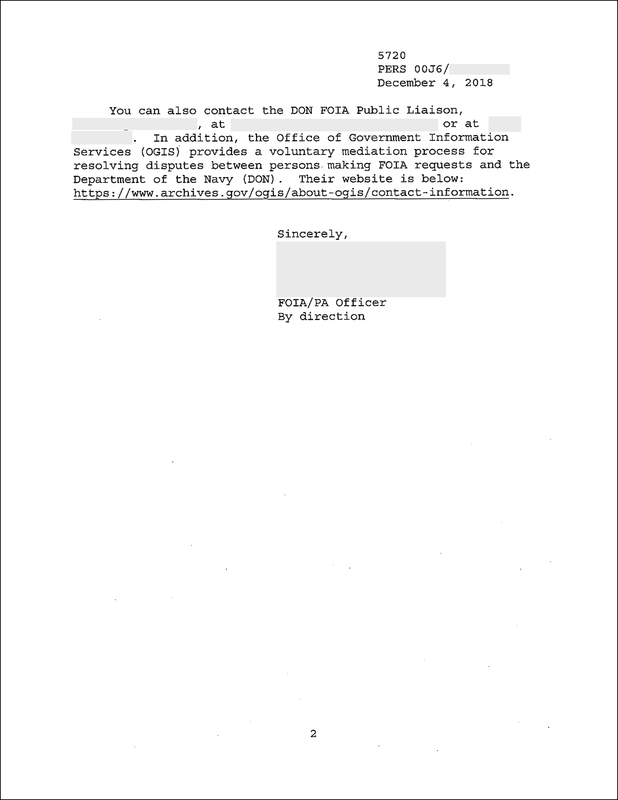 In spite of the standard language in the FOIA result above, the Department of the Navy would be the organization that would hold his records for service during the 2000s. This is why NPRC records were not requested. If John Casselman had served in the military as he had claimed, there should have been some record of it. Although it is conceivable that he served in the Reserve, there should also have been a trace of that as well. Attending BUD/S would have to have been active duty. The DoD Manpower database was searched for dates that he claimed he was in the Navy, so there were multiple negative results over multiple years searched, but we included the year 2010 as one that was indicative of negative results. 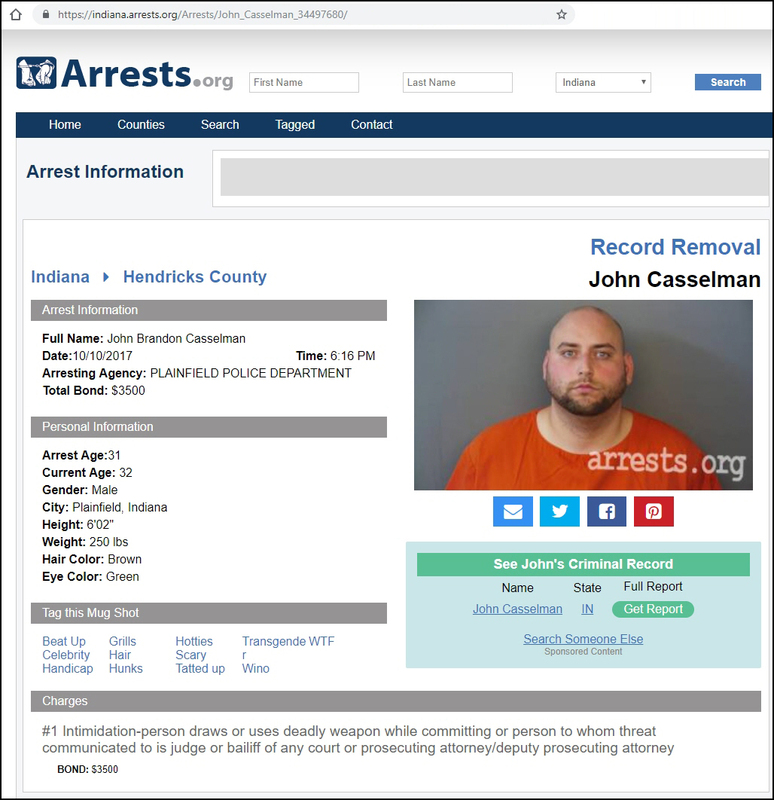 So, the Department of the Navy records that we obtained indicated that they could find no record of service for John Casselman in the U.S. Navy. 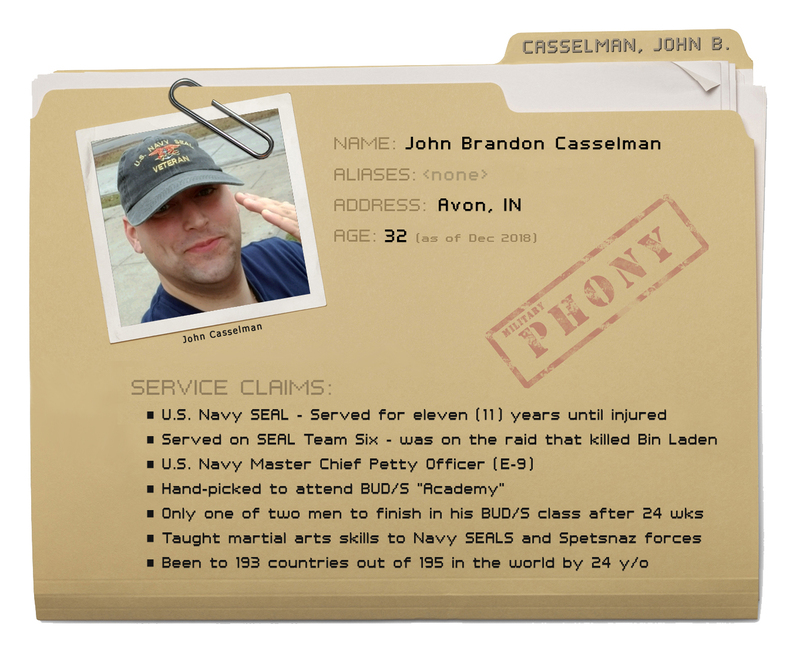 Unless John Casselman has records that prove that he served in the U.S. Navy as a SEAL, his story is highly skeptical. 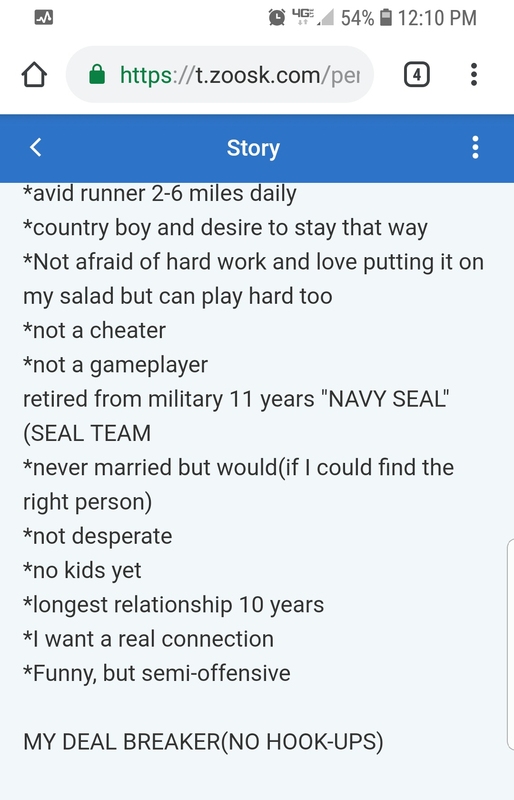 His story may be good enough for a dating profile, but there are too many holes in it to pass the scrutiny of veterans that have served. This may be a case of stolen valor since Casselman is getting something of value from leveraging these stories, especially the one about him participating in the Bin Laden raid. 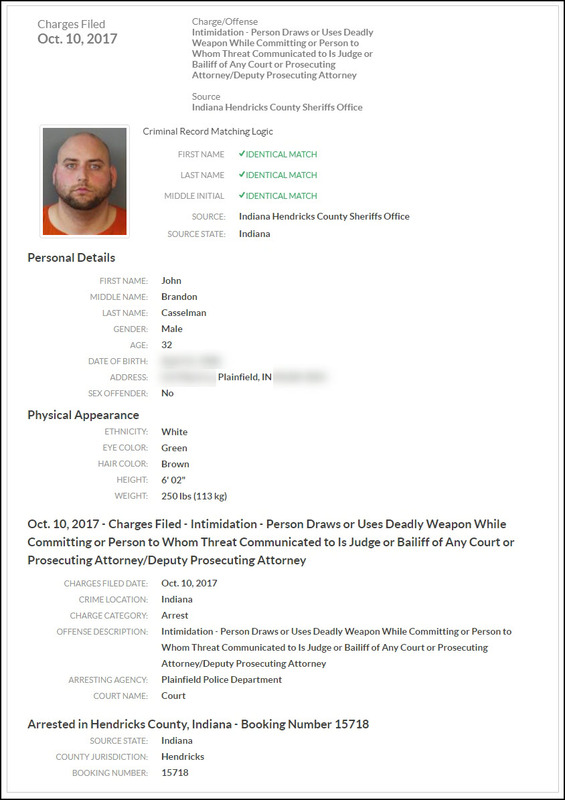 This POS needs the hell beat out of him. A civilian scumbag, who never served, thinks he can make E-9 in 11 years and be the world’s most secret super secret squirrel. Send him back to jail! He salutes like a seal. 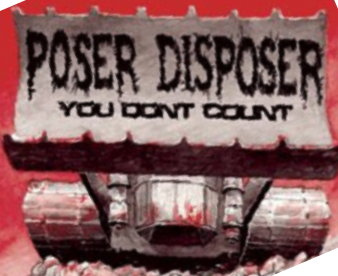 Fat pile of monkey crap poser. I hope a real SEAL runs across this idiot and puts him in his place. This twatcicle should be forced into Serving and after Boot sent to the worst hellhole on the planet and left there alone to play with the natives. This leaky bag of scum is one of the most egregious and offensive examples of a Valor Thief I have learned about. He needs an attitude adjustment and a public rebuke in his place of residence. He should hang his shitful head in shame. Didn’t he and Davey Crockett stand side by side at the Alamo and then be assigned to F-troop? kiewit construction in cal. 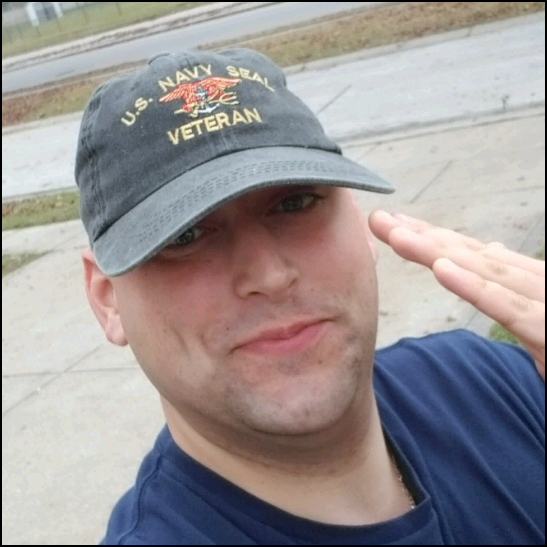 has a travelling snitch that claims to be twice shot and bayonetted in granada, a real veteran in philly called him out for demanding a special parking spot at the gate, in scranton pa. then the story changed to him workin undercover in louisiana with the coast gaurd and was handcuffed to a hospital bed and stabbed but fought off two attackers, then it evolved to a storyline from an old charlies angels episode, the next time i meet one of these guys i will know who to call.